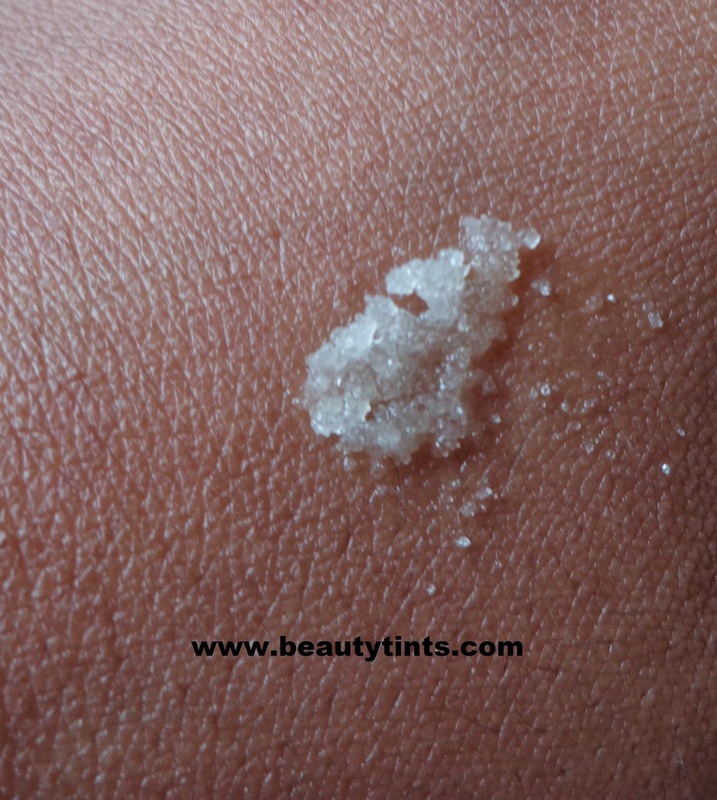 I am again starting the Sample Series as I have lots and lots of Samples which I got in various Subscription boxes.I have picked 7 best samples among them and will review one sample every day for 7 days.Again I am starting the sample series with one of my favorite brand The Nature's Co,today I am reviewing their Irish Moss Sugar Body Scrub.These reviews are not comprehensive like the regular reviews but these will just give you an idea about the product. Availability : Available at The Nature's Co outlets and from their online website.You can buy it here. What the product Claims : For dry SkinTo get beautiful, glowing skin, all you have to do is scrub. 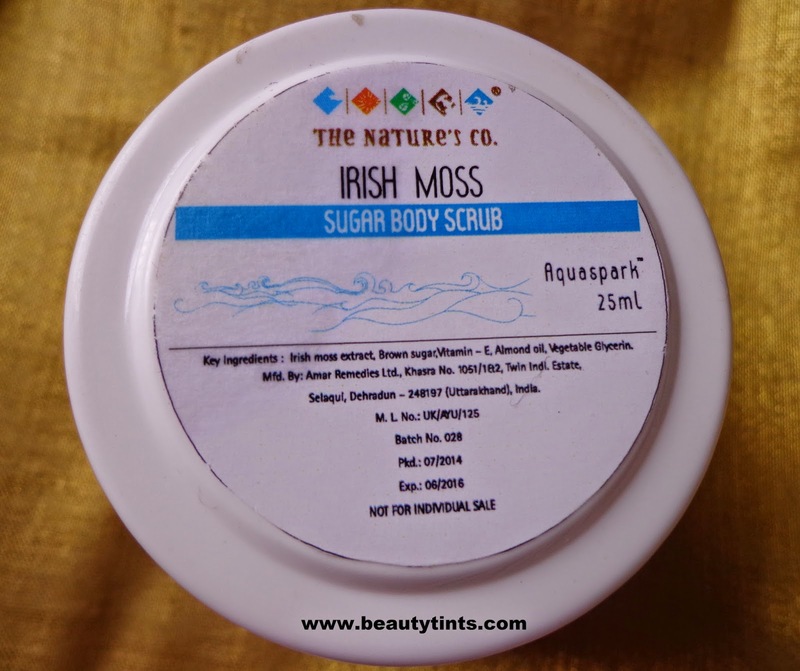 Irish Moss Sugar Body Scrub contains Brown Sugar which is a natural exfoliant and is also rich in Irish Moss extract that has emollient, soothing & nourishing properties. In the shower or bath, spread the scrub over your entire body. Rub into skin to exfoliate and then rinse well. It will leave you feeling smooth all over and the refreshing fragrance of Irish Moss will linger on. Recommended usage -1 to 2 times a week. 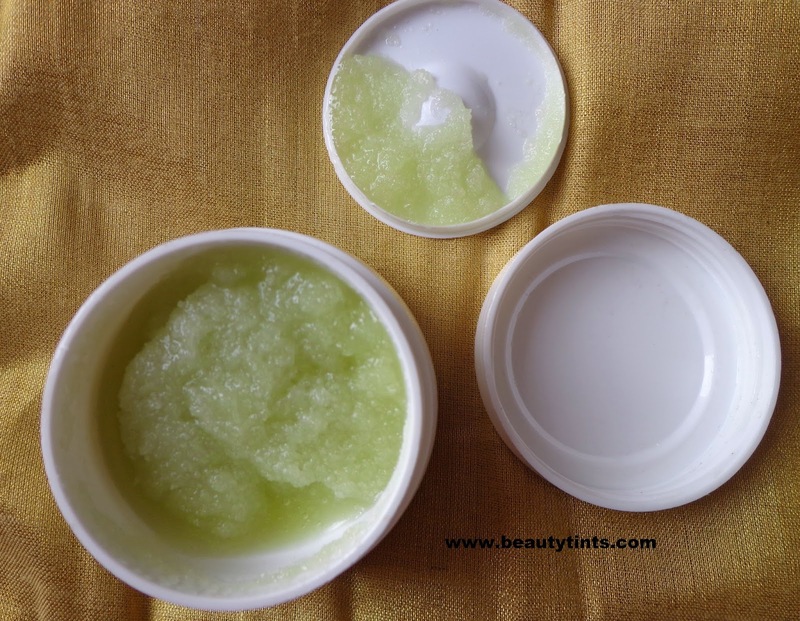 My View On the Product : I have received this Irish Moss Body Scrub in The Nature's Co July Youthful Forever Beauty Wish Box.This Scrub is an exfoliating,soothing and nourishing, meant for dry skin.I have used this thrice as this is a sample which lasted for only 3 uses. It has an amazing and refreshing scent which awaken the senses and gives a feeling of instant refreshment.I used this on dry skin as well as on wet skin,when used on dry skin it is more effective but a bit harsh and on wet skin it is less harsh as the sugar tends to dissolve with the water.It made my skin smoother and softer than before.It did not dry out the skin and I did not feel the need of moisturizer after using this.The fragrance lingers for sometime and disappears after it.Also check out The Nature's Co corn Exfoliating Face pack review here. Conclusion : Overall a good body scrub which is 100 % organic and chemical free.Worth for the money.A great choice for dry skin people!! !